As the Occupy movement slogged into the holiday season, the Wednesday November 30, 2011 edition Dante�s Hot Tub hosted author Andrew Bardin Williams. 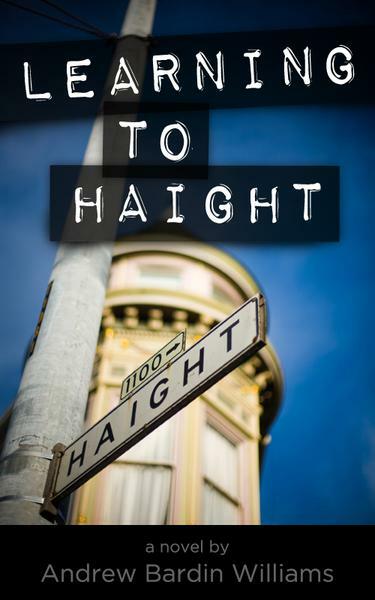 Andrew recently published his novel Learning to Haight, a coming of age story about a young activist in San Francisco. Upon reading this literary novel, it's impossible not to examine how previous protest movements are affecting today�s political and social movements. Host Juan Rapido and Andrew discuss the novel, the role of protest and social movements, and play protest songs old and new. Andrew Bardin Williams recently did a reading from his book at the Beat Museum in North Beach and was featured by Kerouac.com. His novel Learning to Haight is available exclusively as an e-book from Amazon.com, BarnesandNoble.com, the Apple iBooks Store and other major e-retailers for only $2.99.